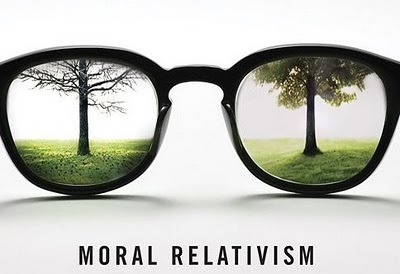 OBSERVATION: Is “Relativism” Biblical? Relativism is the position that there is no absolute truth. Truth and morality exist only in relation to our culture and historical context. Therefore, truth and morality will consistently change and morph into something new as culture and opinions change. What was absolute for one generation becomes a non-absolute for the next, and so on. This is the epitaph for the nation of Israel, and for the nations that surrounded them. And we have a historical record in the Bible that “relativism” never leads people to a good ending. When I was growing up I lived on a street with a lot of other children my same age. During the summers then we did not have all the electronics that today’s youth have. We would play over the line and basketball. However, this soon proved to be not enough. One day we discovered an activity that would occupy hours of our time – “Monopoly”. We dove into this game and would play for hours. However we never really quite read the rules. And then something happened as we kept playing. We would go from house to house to play. When we were at one person’s house, they would change the rules. And then when it was at my house, I would make up my own rules. And the rules I made up were the one’s that favored me, that gave me an edge. Well, this caused a strain in every home and eventually Monopoly led to too many fights and was abandoned. The 17th chapter of the book of II Kings is a very sad chapter. In this chapter we read of the fall of Israel (the 10 Northern tribes) to the King of Assyria. God had tried to reach Israel with warnings and His Word by sending prophet after prophet, but they ignored His warnings. Instead, like a group of small boys in Diamond Bar, California, gathered around their Monopoly board – “…they made up their own rules.” This resulted in their defeat and in their captivity. When the King of Assyria put foreigners in the cities of Israel they were attacked by lions. Thinking this was because they did not know the rules of the “gods of this country”, the king sent priests to teach them the ways of the Lord. They listened, but did not follow the Lord with a whole heart. Instead “…they made up their own rules…” by mixing the worship or Yaweh with the worship of idols. And the result for both Israel and these surrounding nations was a big, big mess! There is no place for “relativism” in the life of a disciple of Jesus Christ. Yet, this is what we find even in today’s Christian culture in America. We enjoy a veneer of Christianity, but we also want to “…make up our own rules.” We don’t say that overtly, but this is what happens. Why does it happen? The simple answer is because – WE DO NOT READ THE RULES! Just like my Monopoly gang – we scan over the rules and pick out the ones we like, and rewrite the others. The rules say you get $200 when you pass “Go”, but we change it to say you get $400 when you land on “Go” (until our opponent lands on “Go”, and then we change the rules again). We tend to live a life of religious convenience rather than sacrificial discipleship. And when we wonder why it seems our culture is heading to hell in a hand basket, the answer is clear. All we have to do is READ HIS RULES! Now – we are not saved by following rules or our own efforts. We are saved only through the sacrificial death and victorious resurrection of our Lord and Savior Jesus Christ. Yet, because salvation is by grace through faith, it does not mean that we don’t need to heed God’s rules. In fact, when we are “Born Again” we begin to look at His rules in a whole different light. They are not “thou shalt nots”, they are words of a loving Father that wants us to live our life in the light of His righteousness and blessing. They truly become a lamp to our feet and a light to our path. We begin to joyfully walk according to His rules, not to be approved or saved, but simply because we love Him! Lord, help me live in Your love today! Help me walk in the light of Your Word! This entry was posted in II Kings. Bookmark the permalink.